Unlock your iPhone Officially (No Jailbreak)! Choose your Apple phone by selecting or searching from the drop down list. If you can't find your Apple model contact us. This is the only Official “Factory Unlock”, your phone will remain unlocked so you can use any network from any country, even if you perform iOS firmware upgrade! No Dirty “Jailbreak”, it's Clean and Guaranteed: you don't even lose the warranty of your Phone. And it's easy ! Simply connect to iTunes and have your phone unlocked forever. There is absolutely no technical knowledge needed ! How to Unlock my iPhone with iTunes? 4b – Or, just press “Restore” and reconnect phone ! No tricky manipulation, No Jailbreak! Easy: Submit IMEI, plug iPhone to iTunes and You're DONE! This is a sim unlock service to enable your iPhone on any network, using any sim card from a different carrier than your current one. If your Apple device is asking for an Apple ID and a password, then what you need is an iCloud activation removal service. How do I check what is the current network and simlock status of my iPhone? 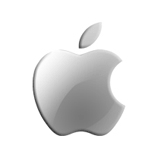 In order to know the initial country and carrier who sold your phone, use our Check IMEI Apple service. Огромное спасибо за помощь по отвязке оператора.Теперь буду пользоваться и радоваться.Советую всем. Many thanks for the help in unbinding the operator. Now I will enjoy and rejoice. Very good service, time scale is abit long for iPhone X but worth the wait. Will use again. I was extremely skeptical of this site. There are subtle typos on the site and in emails that are sent which add to the “sketchiness” of the site. Further, on my first attempt, I inaccurately input that my iPhone 6 was paid off - this caused the site to deny my unlock request and charge me a $5 fee. Against everything my instincts were telling me, I paid for the “premium” version to unlock my phone that is still under contract. It was $35. To my relief, unlock-network pulled through and sent me an instructional email on how to unlock my phone a few days later. I can’t believe it worked. My advice - this site exudes “scam” but go against your instincts and give it a shot. It worked for me and I’m happily typing this on my newly unlocked iPhone 6.